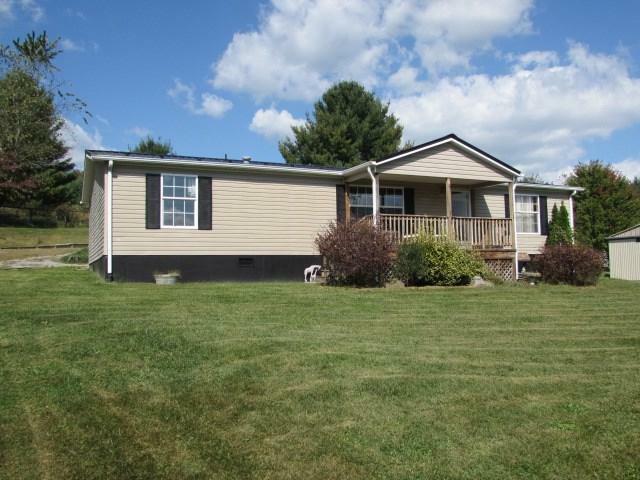 761 Davis Valley Road, Rural Retreat, VA 24368 (MLS #61364) :: Highlands Realty, Inc.
A RECENT full & complete re - modeled - A 1997 3 bedroom 2 bath Double-wide with 1350 sq. ft on .92 acres on Davis Valley Road - Smyth county side. Newer metal roof, heat pump, water heater, laminate flooring. Appliances are included, stove, refrigerator, microwave, dishwasher, washer & dryer. Home offers landscaping, concrete patio, sliding glass patio doors. The home offers a spacious functional floor plan with so many possibilities. Concrete poured patio. Shared well with next door neighbor/single-wide, the seller will guarantee the shared well for 1 year and pay for required repair/maintenance. After 1 yr the cost of the shared well repairs/maintenance will be split between seller & buyer. Listing provided courtesy of Judy Short of Weichert Realtors-Short Way Real Estate.